A military coup in Damascus effectively ends the United Arab Republic, the union between Egypt and Syria established on February 1, 1958, as a first step towards a pan-Arab state, the UAR was created when a group of political and military leaders in Syria proposed a merger of the two states to Egyptian president Gamal Abdel Nasser. 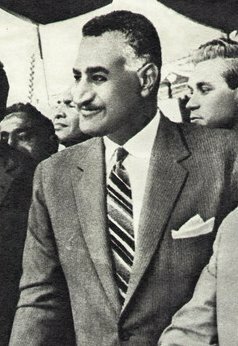 Pan-Arab sentiment was very strong in Syria, and Nasser was a popular hero-figure throughout the Arab World following the Suez War of 1956. There was thus considerable popular support in Syria for union with Nasser’s Egypt. The UAR collapsed after a coup d’état in Syria brought a secessionist group to power. The separation was deeply contested in Syria, and a bitter political struggle reflected in popular commotion and street confrontations ensued until the Ba’th Party, Nasserists and other pro-union elements took power in 1963. The union, however, was not re-established. Egypt, now alone in the United Arab Republic, continued to use the name until 1971 after Nasser’s death.